The Duchess of Cambridge first wore this bespoke sheath dress by Alexander McQueen to the Queen's Jubilee National Service of Thanksgiving at St Paul's Cathedral in June 2012. The dress features an ivory lining with a champagne lace overlay. It has an elegant boat neckline and is finished with a removable tonal satin belt at the waist. 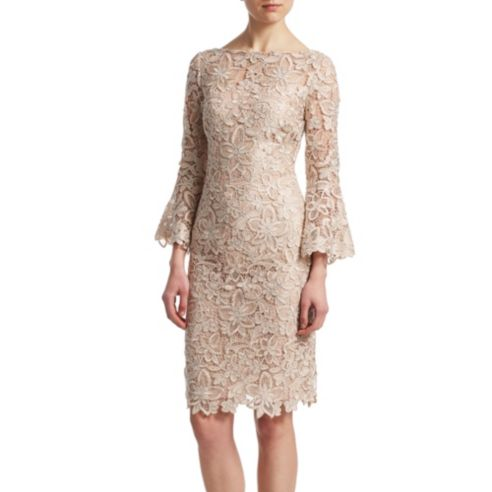 STYLE FILE: Alexander McQueen Champagne Lace Dress as seen on Kate Middleton, The Duchess of Cambridge.